Getting the correct label printer is important! Especially when you need to be able to use them with Royal Mail, eBay and Amazon. Well, Brother have the answer! 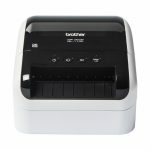 The new Brother QL-1100 series of label printers – versatile label printing that’s perfect for your postage requirements. The new QL-1100 series serves as a replacement for the existing QL-1050 and QL-1060N models and build on these already fantastic devices. 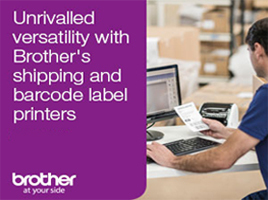 There’s a wide range of connectivity options and labels that comply with key suppliers and distributors including compliance with the ‘Fulfilled by Amazon’ requirements. 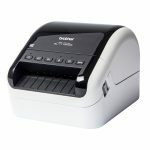 Plus, there are various ways to integrate these into existing IT systems and are ideal for mail rooms, warehouses and for anyone needing to print shipping labels containing barcodes, images and text. Plus, the built-in cutter with continuous length rolls enables labels and signs to be produced up to three metres in length.